There’s hipster Los Feliz and then there’s rich Los Feliz, and Glendower is definitely in the rich area. The houses around here are gorgeous, the cars are luxury, and the whole neighborhood feels very secluded—it’s basically a just super nice neighborhood. 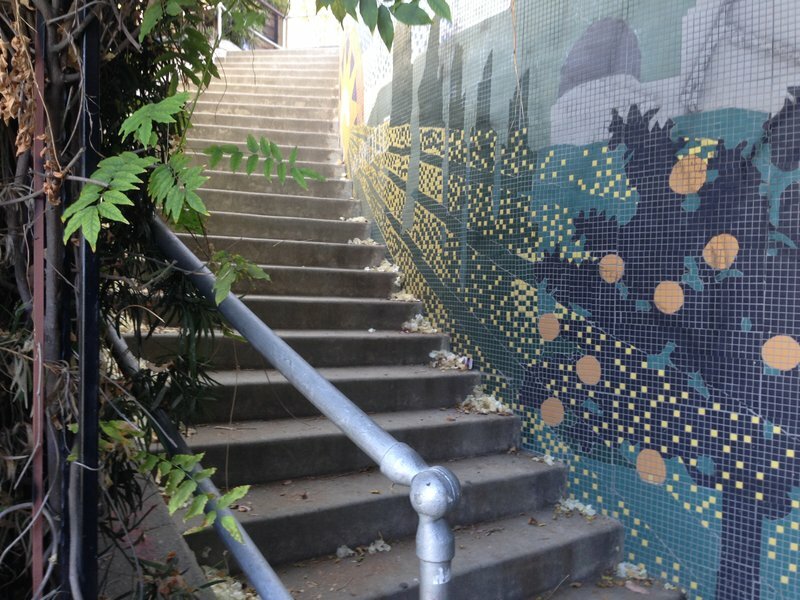 This stairwalk has got to be one of LA’s longest (207 stairs!) but it’s totally worth the climb—it cuts across several streets/cul-de-sacs and just gets better as you go up. Among all these multi-mill properties I wouldn’t have been surprised to see a shades-wearing movie star walking their pooch with their iced latte, but no such luck on the Wednesday I visited.